What is Bulk Past Instagram Likes? 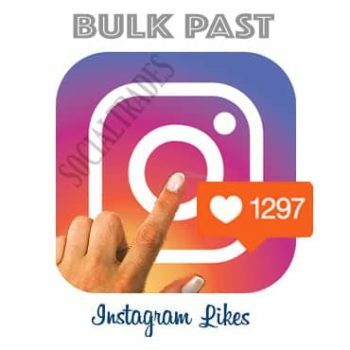 Bulk Past Instagram Likes is a service provided by SocialTrades to allow customers to purchase LIKES for previously uploaded post, delivered in sequence “Newest to Oldest Post” in bulk. This allows users to save time and reduces the hassle of submitting photo links individually. This allows customers to beautify their entire account by having our systems automatically LIKING previous posts, based on the quantity purchased. Please note that this is not for future posts, it will deliver LIKES to previously uploaded photos and videos. To purchase individual video views, click here and for individual photo likes, click here. 4. Select the number of photos to receive likes. Do you know we have a subscription service? If you can’t find the service you need, create a ticket and request for a custom plan.